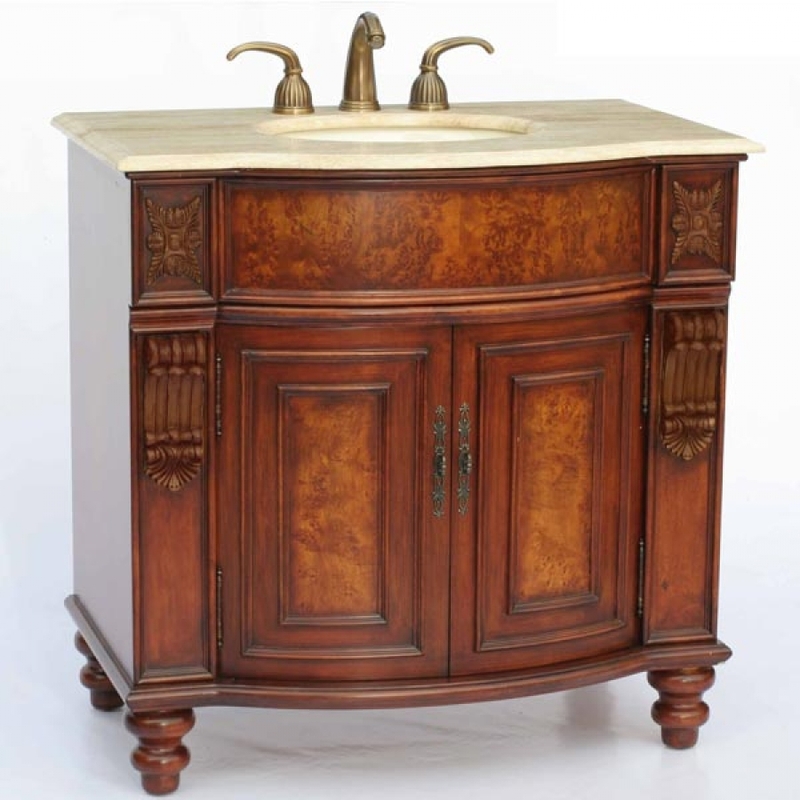 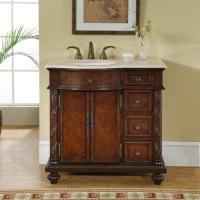 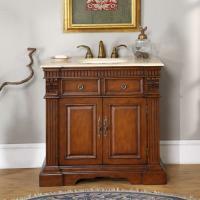 Antique brown and cherry finish mingle in this two tone single vanity cabinet with inlay doors. 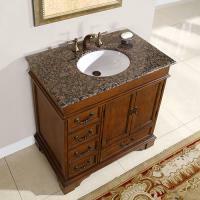 Travertine counter tops cover an under mount sink and two doors reveal under sink storage. Fixtures not included. 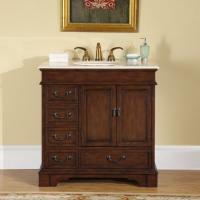 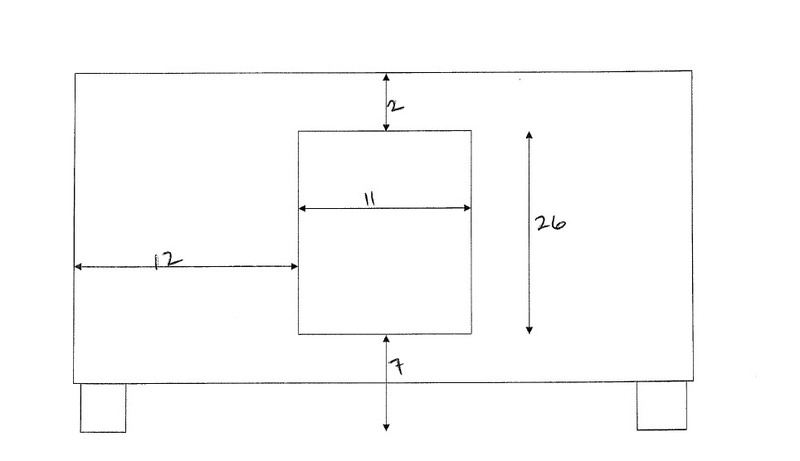 Additional Sizes: Also available in 36 Inch Single Sink Bath Vanity, 55 Inch Double Sink Bath Vanity.